All role play ideas can be turned into reading, writing,math and getting creative prompts. That’s why the ideas generally will fall into more than 1 category. 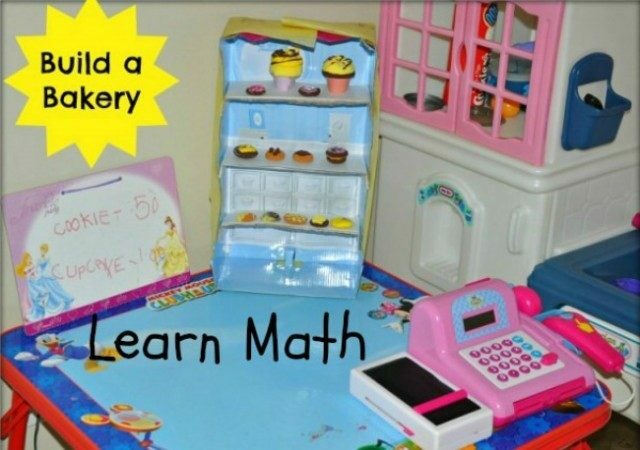 Having said that, some play set ups have a built-in literacy or math prompts like school role play, library role play, post office role play, store play. The following categorization is based simply on my observation of my child’s play style. 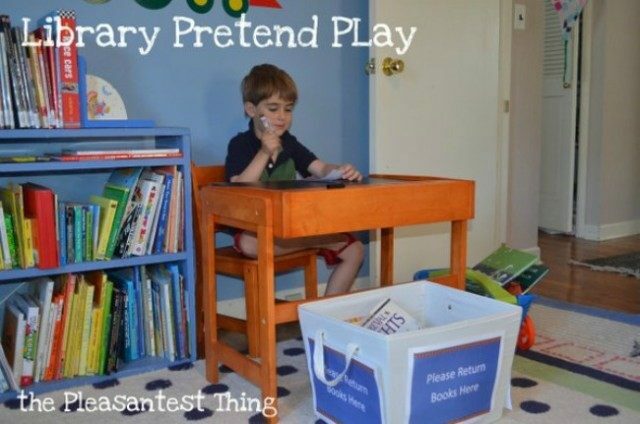 What kind of play encourages reading and writing than class room dramatic play set up. All the kids love to pretend to be adults ot anyone who is in charge. Kids who are used to school or who have seen homeschooling moms teach would love to engage this kind of play. When they carry out a teacher’s role it inevitably ends up with some reading. 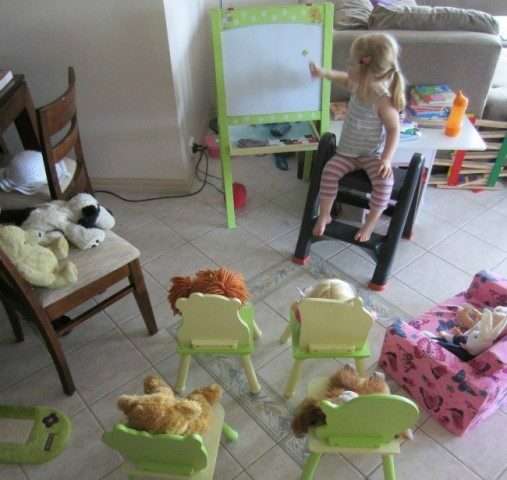 Learn With Play at Home – with tips for extending the play. Childhood101- with a useful list of materials needed. This kind of role play idea has so much potential for reading and writing . The following links each has a unique focus and please pay attention to the details in the posts. The Pleasantest Thing‘s- brimming with details without being fancy. This kind of play doesn’t need any introduction. 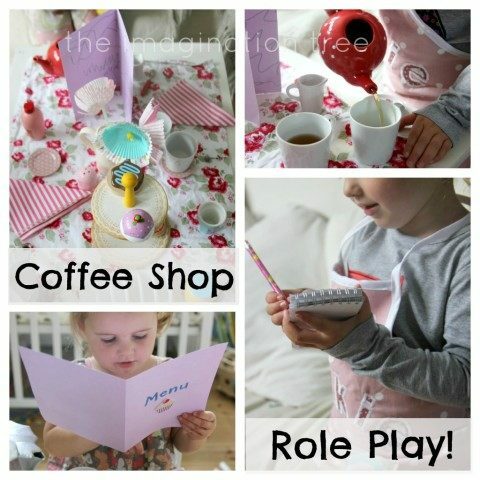 Post office role play screams fun writing, scribbling, pre-writing, doodling, drawing. It can be anything. Visit the following links for more inspiration and ideas. My personal favorite -Post Office Play setups have oodles of opportunities for writing.Visit these links and see how each of these talented bloggers have set up their post office in a different way. Check them out and be inspired! 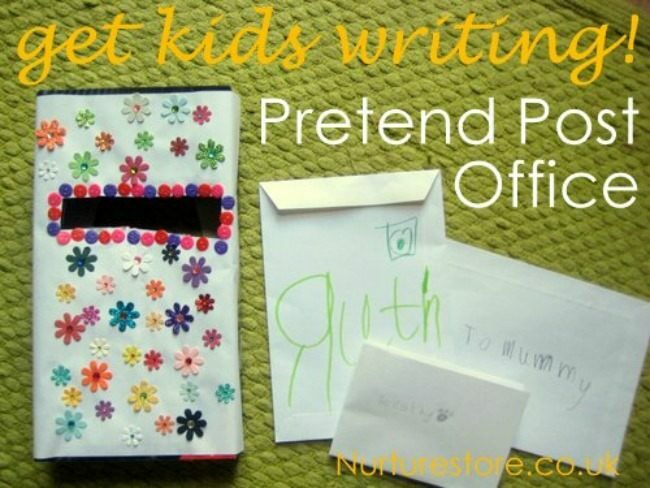 Nurture Store ‘s– tips for creating gentle writing prompts while having fun with the kids. Buggy and Buddy’s adorable post office set up is something you want to look into. 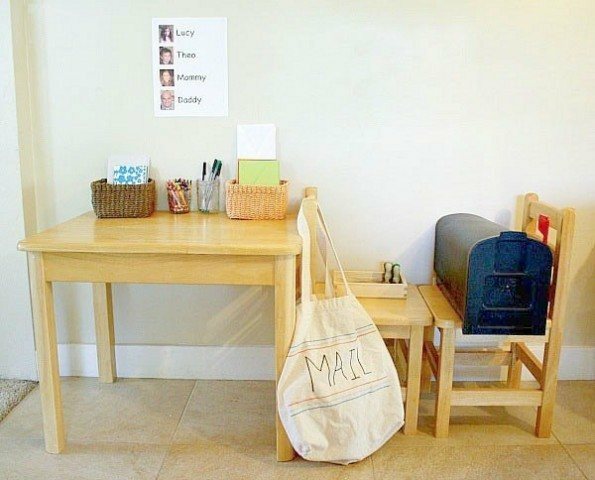 Kids Activities Blog– play mailboxes and play kits. Getting Messy with Jessi – mail delivery process. Kids love to pretend to be adults. What’s more exciting to them than pretending to work at an office, making phone calls, punching calculators and using grown up pens. 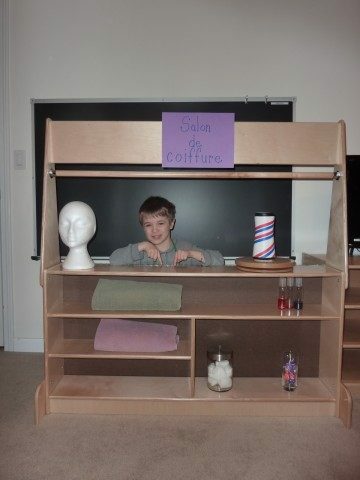 This role play idea encompasses multiple categories, language, fine motor and reading&writing. 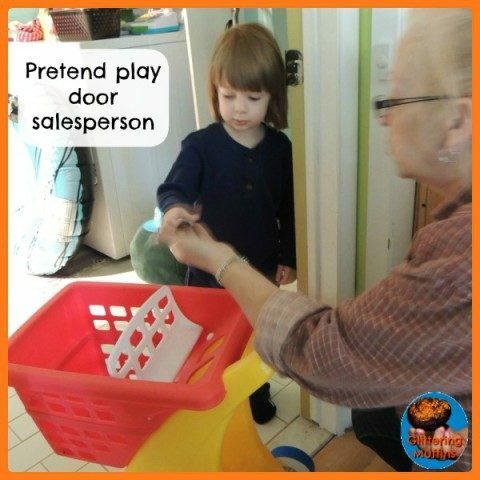 Teach Preschool’s use of real items to setup a role play scene is fantastic. Restaurants and Coffee Shops play are also a wonderful way to encourage reading and math (menus, prices). Down below I have included them in our language category. 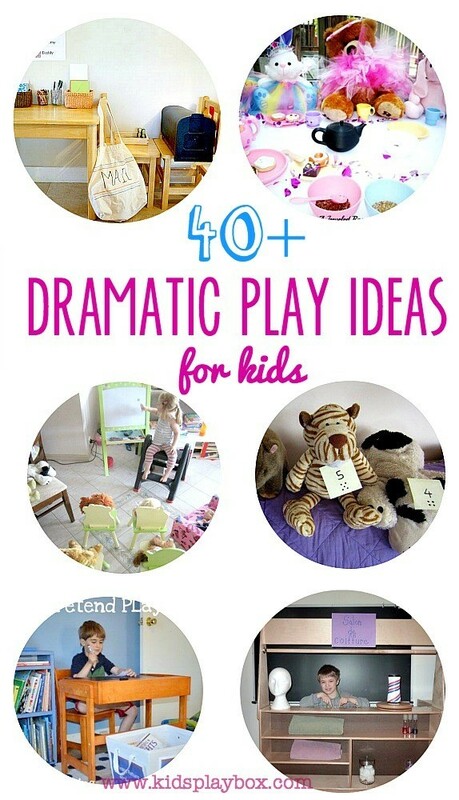 Allmost all dramatic play prompts develop budding language and conversation skills. Some more than the others, especially the ones where there are more than one distinct role to be played. If your are in the moment playing with your child( the best kind!) or if the child has a companion or at times if the kid is taking on more than 1 role, the following ideas are worth taking a look. Creative Playhouse – toddler picnic. 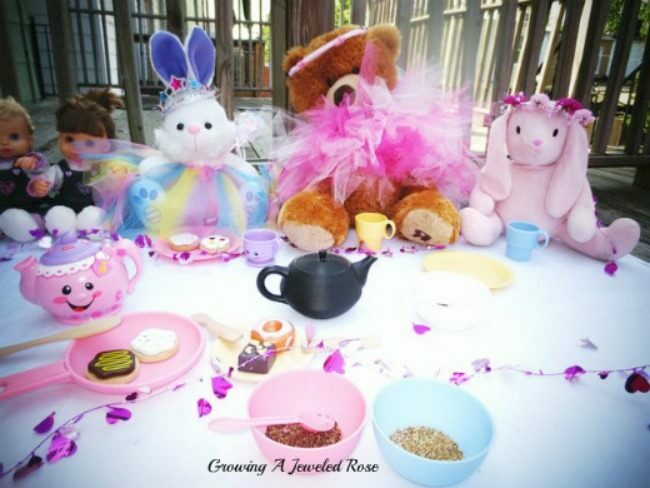 Growing a Jeweled Rose – tea party. 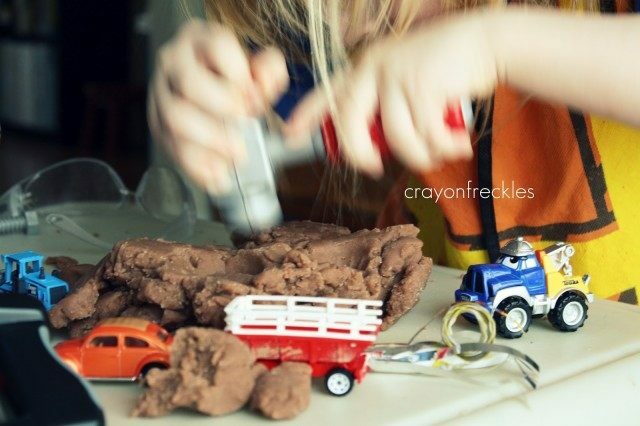 Little Explorers – “Fix It” workshop. 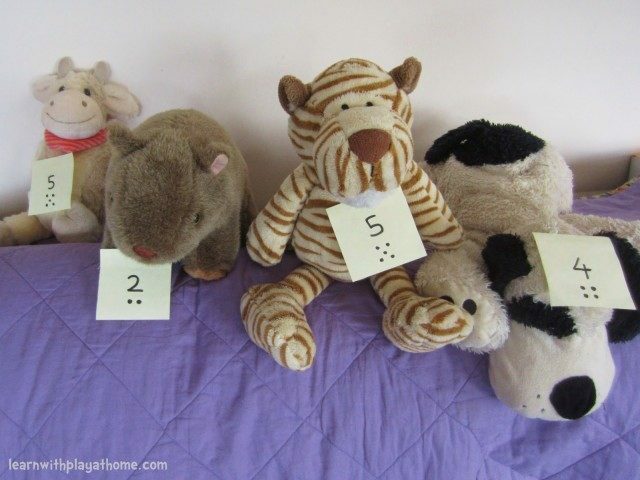 No Time for Flash Cards – restaurant dramatic play idea. A Mom with a lesson Plan – easy set up but full of ideas for play materials. 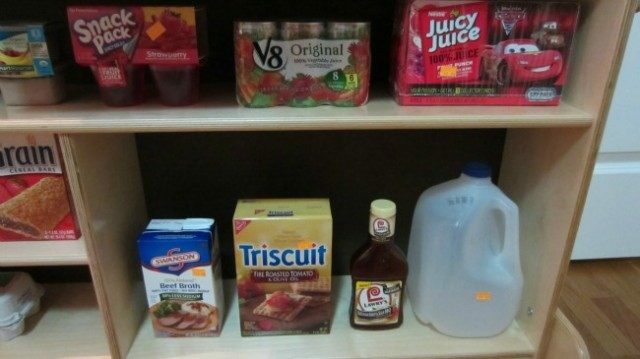 Playing House has a ultra simple grocery store set up. No reason not to do this with your kid. I think playing “Bank” would be a great idea for older kids. Introducing simply ” deposit” and “withdrawal” terms while showing them what they mean is a fun way to introduce “Money” to them. Crayon Freckles – use lite brite to play bank. Extend the activity depending on the kid’s age. 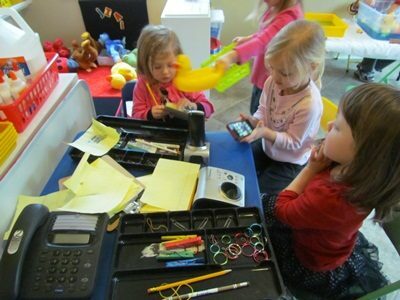 Kindergartenkindergarten has a clever way to use a tri-fold board as an ATM. The Imagination Tree -works as a reading prompt as well. Growing a Jeweled Rose – sensory play and dramatic play set up. 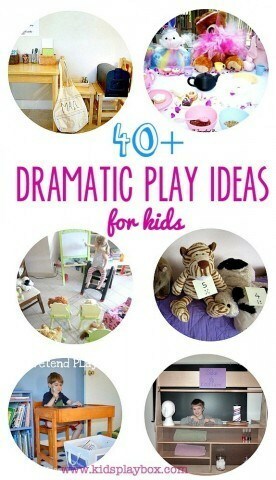 Dramatic play is great for over coming fears and many kids are not so ok with going to the doctor, am I right? 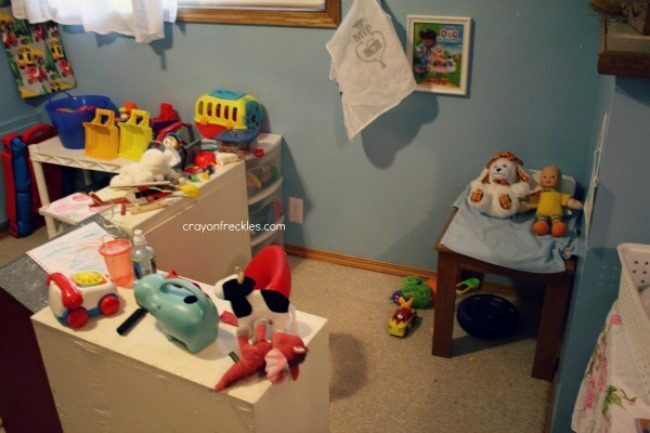 Role play can be used to ease the child into any situation. If my child is afraid of the doctor I’d set up a simple hospital role play. For kids who are uncomfortable with hair cuts, hair salon play would be great. Also fears need not be the only issue that can be addressed Think about slow to warm up or at times shy kids. Role playing a certain anxious situation like park/play ground or simply a store would be a wonderful tool to overcome hesitation and worry. Ideally role play ideas under language skills would overlap with overcoming anxiety. Dramatic Play in the Tub! So many possibilities, so many spins.. The following are a few affiliate links to some cool play props.